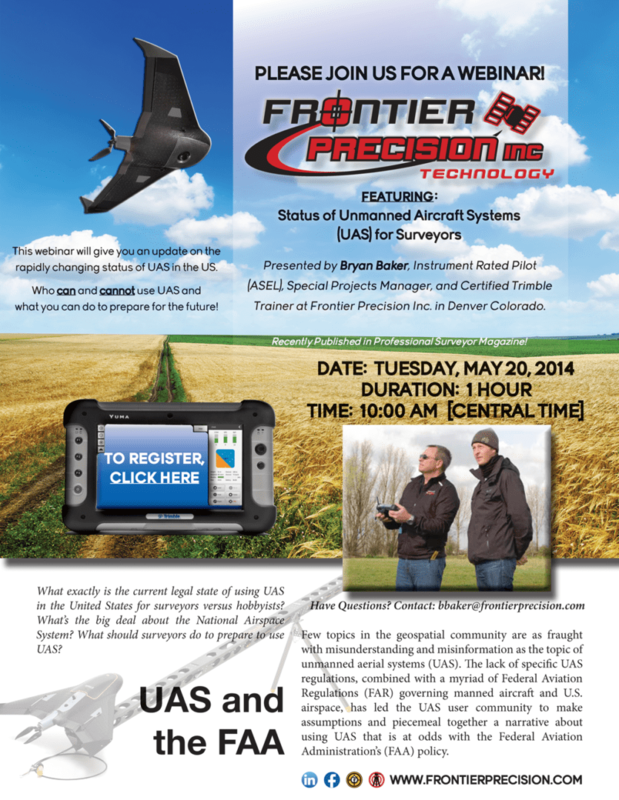 Please join us for a free webinar that will give you the latest information on the status of UAS operations in the US. The session will cover FAA policies and how they apply to different entities. What may be in the future and what you will need to know to prepare. The session will be approximately one hour. Your host is Bryan Baker. Bryan is a licensed private, pilot, Certified Trimble UX5 pilot, Certified Trimble Trainer, and Special Project Manager for Frontier Precision Inc. The webinar will be held on Tuesday May 20th, at 10:00AM CDT. Click the image below to register.